Concrete overlay continues to be a great favorite among Houston homeowners. With its malleability, adaptability and durability, see how a concrete overlay can transform into any shape, size, or form with these concrete creations that will surely inspire you to transform your own patio as well! Proud of your Texan roots? Well, this concrete overlay creation shows just that. Amidst the glittering and smoothly textured concrete overlay is the lone star symbol, signifying you’re in a Lone Star patriot’s home. Notice the concrete stamps’ grooves and ridges provides enough friction to avoid slips and falls. Is it a paver or is it concrete? With its malleable characteristic, concrete overlay can assume any form or shape or texture. This gives concrete overlay great aesthetics while keeping the design costs down. Speaking of adaptability, see how this concrete overlay patio achieves design cohesiveness with the home’s brick exterior. To give it a unique look, the concrete overlay was also stained in various shades of earthy shades. Here’s another example of a concrete overlay’s malleability. It might look like you have a smooth flagstone patio surface from afar but upon closer look, it’s none other than concrete overlay, stamped and stained to achieve the flagstone faux. Since a concrete finish might be prone to be too smooth for comfort, stamped ridges and an artistic friction surface gives it enough room for foot traction. This is another concrete design where sections are stained with different hues for a different take on the flagstone faux. For those with a colorful disposition, concrete overlay gives you an array of colors you can use to stain your patio surface in sections or pieces. If you’re into the indoor-outdoor living set up where open space is much treasured, then read on and be inspired to explore the possibilities for your own home. If you already have a patio space, make it more cozy and inhabitable with a patio cover added seamlessly by simply extending your roofline. With this cover, you can now fully enjoy the benefits of having an outdoor space which you can transform to complement the kind of indoor-outdoor lifestyle you desire. Clear glass wall panels provide an unobstructed view of your landscape while keeping the harsh weather elements off. 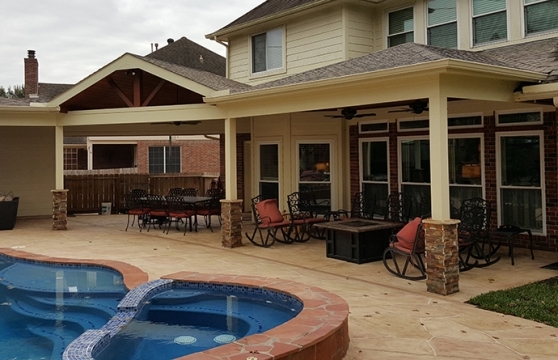 To complete the open setup, why not have a pergola act as your patio cover to let as much light into your outdoor room while still remaining protected from the sudden onset of rain. Instead of the usual lone rocking chair for porch furniture, turn your porch into a transitional recreation area by arranging more than just a rocking chair. Install sturdy outdoor seating furniture made comfortable with pillows and a rug to complete the homey atmosphere. 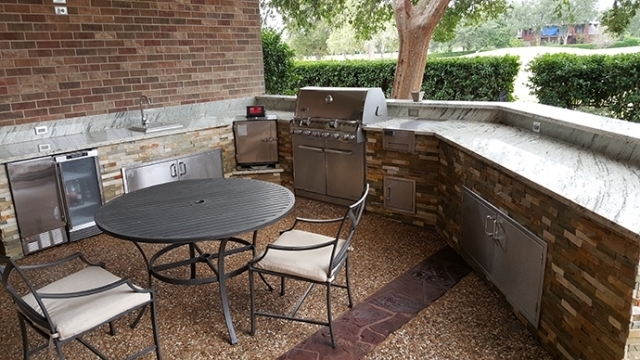 Invite some friends over for a backyard barbecue or homemade pizza made lovingly in your outdoor kitchen and shared gratefully on your outdoor dining area. A gravel patio creates an interesting texture on ground while the smoke coming from the grilling or oven provides an olfactory treat, tickling your taste buds. How nice would it be to relax and unwind in a living room that promotes the indoor-outdoor setting. With its open concept, lounge in an open outdoor living space which is both fresh and covered. To prevent feeling encumbered from within your deck space, install a pergola cover. This will give you much needed cover but still welcome ample sunlight for the space. A porch is a step up from a patio but a step away from a more meticulous outdoor room. By extending your roofline covering the immediate exterior of your home, you get an exterior seating area which can also be a charming welcome area for your guests. See the three types of porch addition you can install for your home. For your front porch, pick a couple of comfortable seats, place it in prime areas and a couple of insect-repellent plants to keep your porch stay comfortable and pest-free. Pick a sturdy patio surface material for your porch and ensure ample lighting for your porch, too! For this porch they picked wood decking for both the floor and ceiling, adding a rustic touch to their porch. Recessed lighting was also built into the ceiling while lantern sconces are installed onto the walls. This lighting system achieves a subtle and chic statement for the porch. This backyard porch serves as a lounge area for the family after a good swim. There is also a small table area where snacks and refreshments can be served. For the porch furniture, picking a water-resistant plastic beach chair is a smart move in having a seating area with achieves both form and functionality, easily getting the beach vibe with the durable furniture. Don’t waste the great views a wraparound porch can give you. Maximize the space surrounding your home with a wraparound porch. Vary the function your porch areas serve. You might assign the front porch as a welcome area, the side porch as a gallery for your plants, large and small, while the back porch as an al fresco dining area. With a wraparound porch, you can easily host tea parties for friends, or even a small dinner party for an exclusive few at the back. No matter what porch addition you pick, a porch is a great way to maximize outdoor living space and these porches show how much potential yours have for one. There are a million ways to transform one’s yard. But with the multitude of options also comes confusion. In this article, we’ll start your brainstorming and planning for your yard with these 6 patio ideas. Plant kitchen gardens by picking your favorite easy-to-grow vegetables and putting the seed or saplings in your small plot. Water it with affection and bask in the delight brought by the upcoming harvest. Let the missus indulge in what she loves doing in her free time. Whether it’s gardening, sewing, stitching, painting or even makeup, design the space into a special enclave where she can feel ultimate freedom in pursuing her crafts or hobbies that makes her feel good. Whether it’s power tools, tabletop games, car tinkering or gardening, let your man have space he can truly call his own with the he shed. The he shed along with the she shed gives each a great way to reclaim the crafts or hobbies they’d love to pursue but might get in the way if it was in the main house. Take your child away from too much virtual play and let him or her enjoy the pleasure of playing in the physical space once again. From monkey bars to a swing or even a simple sandbox, give them enough play space where their imagination can run boundless. Especially for those with limited space, plant herbs which not only turns your yard into greenery but is also a useful place to harvest treasured herbs. Fresh basil, thyme, rosemary, and mint will always trump store-bought ones. Knowing what you’re eating is as organic as it gets definitely makes your garnished meals more sumptuous. Last but not least on our list is the date place. With the love month in full swing, save up on your date plans by converting your yard space into an intimate date place where you can take your significant other for an al fresco dining. Less time on the road means more chances to create romantic moments right in the place you two call home. What are you waiting for? 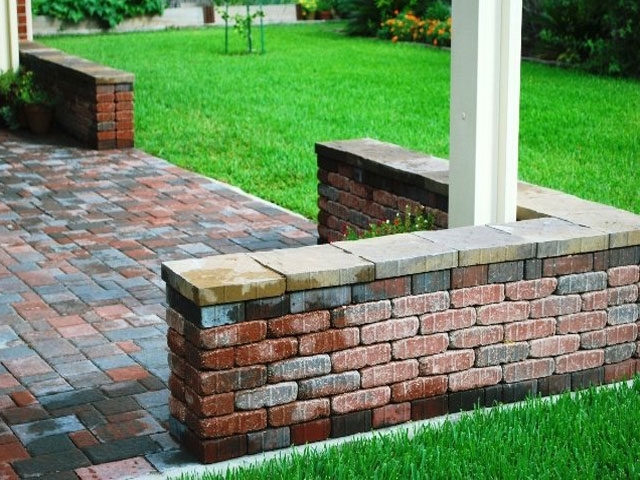 Transform that patio strip and see it achieve its potential. For homeowners on the lookout for 2018 patio trends, you’ve come to the right place. Read below and find out which trends you can easily adopt for your own curb this 2018. Pantone Color Institute has declared ultra violet as the 2018 color of the year. Be sure that this color will reign supreme from designer clothes, weddings, houses, and even outdoor shades. So bedeck your outdoors with this deep purple shade which signifies originality and drapes everything with a hint of mystery. Ditch the usual in favor of bold and inviting doors. If there’s one piece you can refurbish outdoors, make it your door and save a lot of time and effort decorating. Better yet, why not re-paint your door with ultra violet for an ultra statement door. From pattern plants which thrive both indoors and outdoors, to distinctly shaped plants which evoke the tropical feel, see the likes of papyrus frond, areca palm and fern frond stand proud along the curbs and pathways. With these plants, feel like you’re stepping into your own tropical paradise where summer lasts forever. Aside from ultra violet, watch vegetation- and berry-inspired hues make their way to the palette center stage. Expect Celery and Foliage green shades to berry purples and blues influence the color scheme of top gardening planners. If you prefer neutral colors over the deeper shades of purple, go for mellow hues such as Little Boy Blue and earth tone Emperador. Choose this colors as your fresh palettes to follow when choosing paint, welcome mats, and even accents for your exterior walls. While countless trends for 2018 will surely arise, it’s still best to choose a design which reflects your own taste and personality!